Following a nationwide search, UC Davis Chancellor Gary S. May and University of California General Counsel Charles F. Robinson have selected Michael F. Sweeney to serve as chief campus counsel. University of California President Janet Napolitano approved the selection, which is effective as of April 1, 2018. Sweeney has been interim chief campus counsel since June 8, 2017. Since joining UC Davis in 2007 as senior campus counsel, he has provided advice and counsel on a wide range of complex legal matters related to employment, contracts and grants, academic freedom, student affairs, athletics, and research. He has drafted complicated policies regarding freedom of expression and Title IX compliance. More recently, he led two legislative initiatives to expand the California Dream Act for undocumented students and to create a domestic violence privilege for California higher education CARE counselors, both of which resulted in new California laws on Jan. 1, 2018. 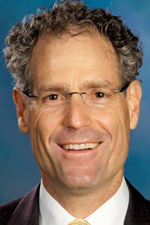 Prior to joining UC Davis, Sweeney was a civil rights attorney for the California Attorney General’s Office and the Department of Fair Employment and Housing.